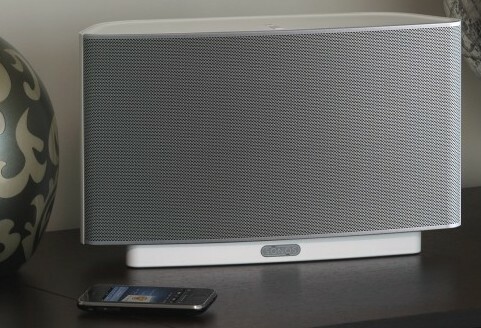 The world’s leading provider of wireless multi-room music systems for the home, Sonos, Inc. has announced the launch of its new all-in-one wireless music system – Sonos ZonePlayer S5, which can be controlled with iPhone, iPod touch or any Sonos Controller, featuring a 5-driver speaker system – two tweeters, two 3-inch mid-range drivers and integrated single 3.5-inch subwoofer, delivering a crystal-clear, room-filling sound experience. In addition, iPhone and iPod touch users are allowed to search for songs and stations, choose the music as well as control the volume from anywhere (in house), thanks to the free Sonos Controller for iPhone application. The new Sonos ZonePlayer S5 which measures 217 x 365 x 123 mm and weighs in at 4.15 kg is expected to be available later this month for $399.